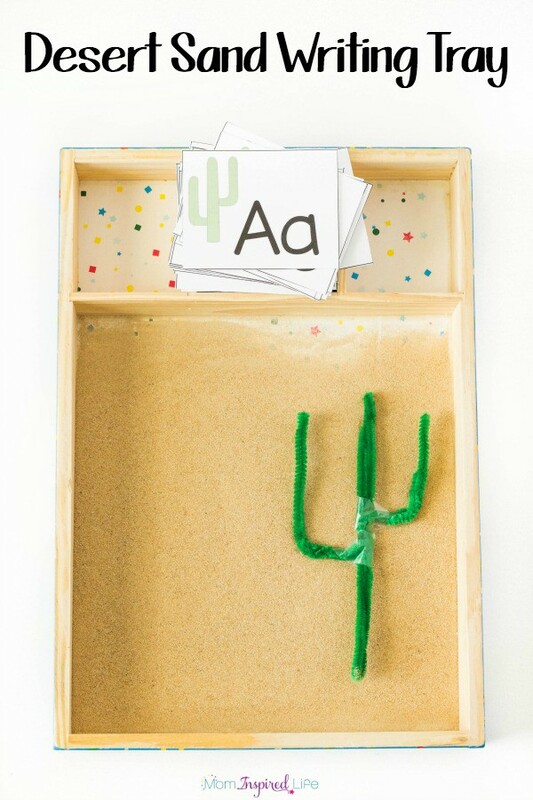 This desert sand writing tray includes free printable cactus-themed alphabet cards so that kids can practice writing and identifying letters. It’s also a great sensory experience for young children to practice pre-writing skills. We love a good writing tray! 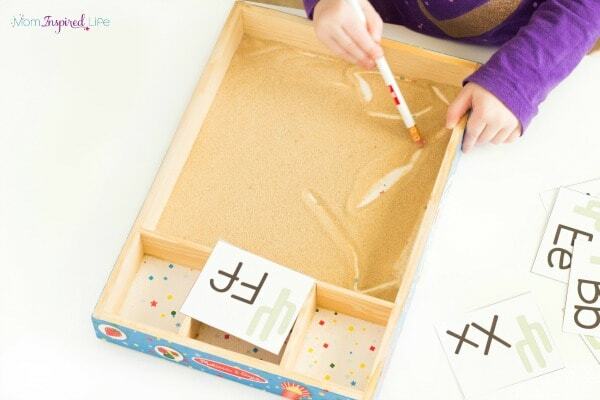 One of our favorites was this sugar cookie sensory writing tray. The smell is divine! There are so many ways to utilize this desert activity. 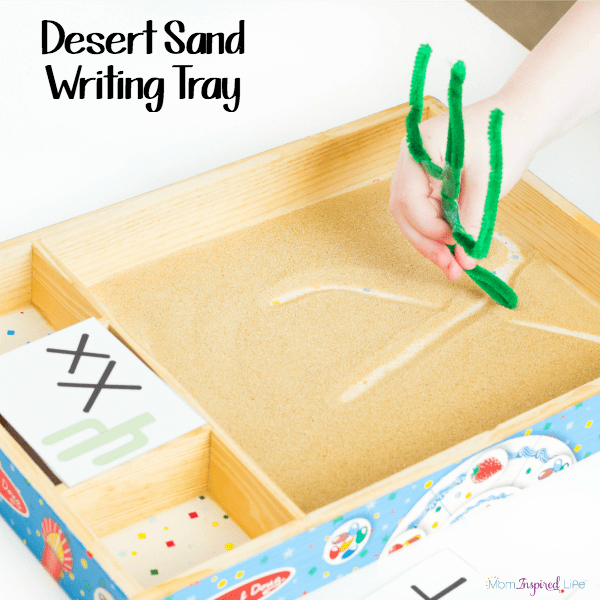 My preschooler used it to practice writing letters, but he also enjoyed doodling in it and the sensory input involved with running his fingers through the sand. It can also be used to draw shapes, numbers, lines and other objects. 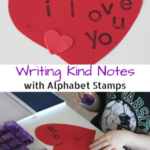 If your child doesn’t like to write with a pencil and paper, this is perfect for them! 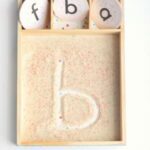 For tons of other alphabet activities, check out my alphabet activities landing page. Pour a small amount of sand in your tray. You want it to be a very thin layer across the bottom of the tray so that it is easy to write in. 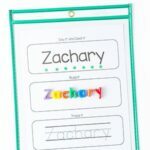 Print the alphabet cards onto cardstock and cut them out. Make a cactus from green pipe cleaners if you want to be extra fancy. This is totally not necessary. I also realized that it would have been better to use a green unsharpened pencil or green craft stick and then wrap the pipe cleaner around it for more durability. Looking for more sand activities? 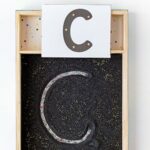 Take a look at my post on 10 Ways to Play with Kinetic Sand or this roundup of Kinetic Sand Learning Activities. 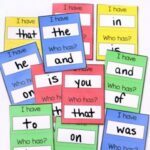 This is something you can leave out and let kids do independently. You really don’t need to monitor or give a lot of instructions – other than don’t throw the sand everywhere. Haha. My son practiced writing letters for a short period of time. Then he wanted to draw things in the sand like snakes and other animals. Even while drawing he was developing pre-writing skills. 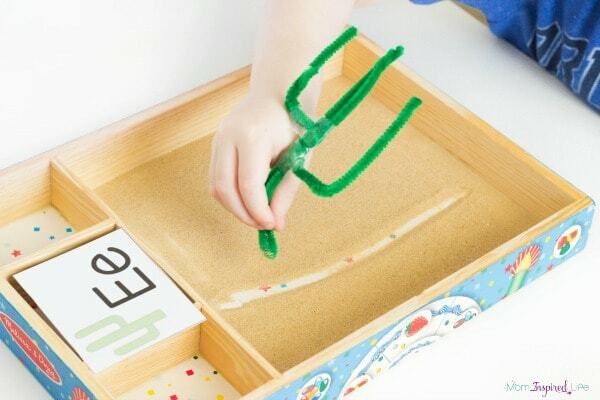 He loved using the cactus to draw things, but eventually changed to using his fingers because he wanted that sensory experience of running his fingers through the sand. My toddler also loved the tray. She enjoyed looking at the alphabet cards and pretending to write the letters in the sand. She also drew lines and shapes. She loved using an unsharpened pencil and her fingers to draw in it. I love how simple it is to set up and that it is something that kids can do independently. Here are some more desert activities from the ECE Team!